Classic pie in the face clown gag without the big mess but with lots of surprises! Effect: Our performer is seen holding a realistic yummy whipped cream pie with a cherry on top, he approaches his audience members /victims and throws the pie - approx. 10-15 feet and the pie flies through the air, the audience jumps, screams, dives, runs to avoid the messy disaster. But no harm! Pie comes flying quickly back to our performer and lands back into his hands for sounds of laughter and cheer. 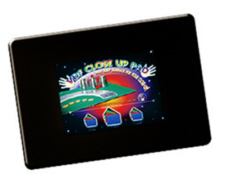 This prop pie is a professional clown item and is custom made. The whipped cream pie with cherry is so realistic that even up close you can't tell it is a fake. 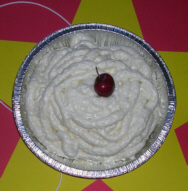 We supply you with one hand crafted (USA) custom whipped cream pie, attached pie tin, attached elastic cord gimmick and a realistic fake cherry on top! Plus instructions. The ancient tradition of the Magician's "M" ring continues to this day. 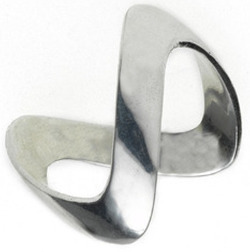 Magicians wear this ring to let other magicians know who they are, and that they belong to the same brotherhood. A secret symbol of the magic society, recognized by all magicians. An ancient handcrafted symbol that can be yours to wear and treasure. This ring makes a powerful statement and is made beautifully of Sterling Silver. Treat yourself to the symbol of your brotherhood. 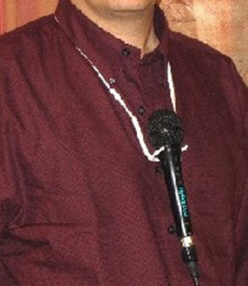 Magician displays a long piece of rope and coils it over his hand showing it is just an ordinary rope. He then stretches the rope between his two hands, horizontally, and pretends to hypnotize the rope. One hand is now released and the rope stands rigid like a stick. Magician merely blows on the rope and it falls down limp once again. 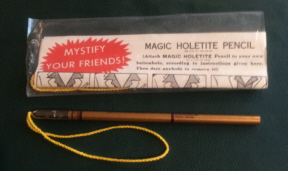 This lot is of 50 Magic Holdtite Pencils, an old classic of close-up magic. You can still find them on the internet for $6.95 each. Note that these all imprinted as follows: 1939-1989 North High School 50th Reunion. They are all brand new, each in its own package with instructions included. 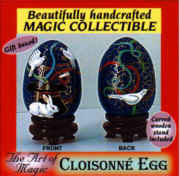 Great give-away for magic clubs, collectors, etc. TARGET DESIGN BLENDO - The silks are hand painted, 100% silk, high quality, included 3 pages of instructions and ideas, illustrated step by step!. Performance: Four 18" rainbow silks are counted from hand to hand. The magician gathers them together and when he opens them they blend into a large 36" target silk. Small flash pot, two pictures show a tiny flash pot activated by batteries, uses a small amount of flash cotton and some sparkle. It was originally worn by an assistant and activated by her. It is in good condition, was custom made. 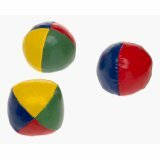 Easy to use, they will fit in the palm of your hand and will magically appear right before your eyes. The wand can be use again and again. Perfect as a give away at parties or events. Open to a 20" wand, black with silver tips. (SET OF 4) - This is a set of 4 placemats designed as 4 playing cards: King, Queen, Jack and Ace. The size of each placemat is 18" x 12" (45 x 30 cm), each card has small design of different food. This set will add beauty to the table or as a gift to a magician or card player or even can be used as a decoration. New,Innovative,exciting,unique and truly magical: As a trick itself they can be used again and again. 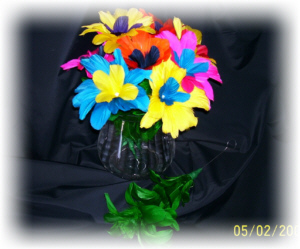 ideal give away for parties and shows, birthdays, holidays or any event. Perfect as give aways at parties or events. Easy to use they fit in palm of your hand simply by removing the holding ring and letting go the wands magically appear right before your eyes. The ultimate way to stop watches. Carry it in your pocket all the time and create miracles anwhere - anytime. This wood crafted necklace case can be used as an appearance or vanish of a necklace. Top cover is bowing a little from age. Imagine being able to produce a parakeet at any point in your act, from virtually anything! Dave Womach has created a utility device so powerful that you can use it to produce a parakeet in almost any setting, even close up (they won't hear any Velcro or snaps opening). Use this device to produce a parakeet bare handed if you wish! What a powerful opening for an orange lemon egg parakeet routine! The "parakeet gizmo" has been in development foryears, and after being tested time and time again it's ready for you to use.The answer for magician who is tired of doing the same old bird magic, and is ready to open his mind and put some creativity and originality into his bird act.